I wish I had a secret to make breastfeeding hurt less – those first few weeks are rough. Or, I wish I had a secret to help breastfeeding go by quicker, or the secret formula to breastfeed your baby just right to get them sleeping through the night by 3 months. Nope – we are still waking up every 3-4 hours over here. The secret I am sharing is a product I found after visiting a lacation specialist at IU North. I had an oversupply problem… a.k.a. a LOT of milk. So much in that while I was feeding on one side, I would leak on the other, and not just leak a little bit – we are talking 1 – 2 ounces of milk at each feeding in those first few months. (I know, TMI, but motherhood isn’t glamorous… it’s a sticky mess of spit up, milk and poop those first few months!) After talking to other moms I realized I’m not the only one with this leaking problem so I figured there had to be a solution. That’s when I heard about Milkies, a way to catch the milk while you are breastfeeding. This isn’t a sponsored post, I genuinely started using this with Henry and have a freezer full of milk now with barely pumping. Ive pumped maybe 3-4 times total in the past 3 months, and have over 300 ounces of milk in my freezer. 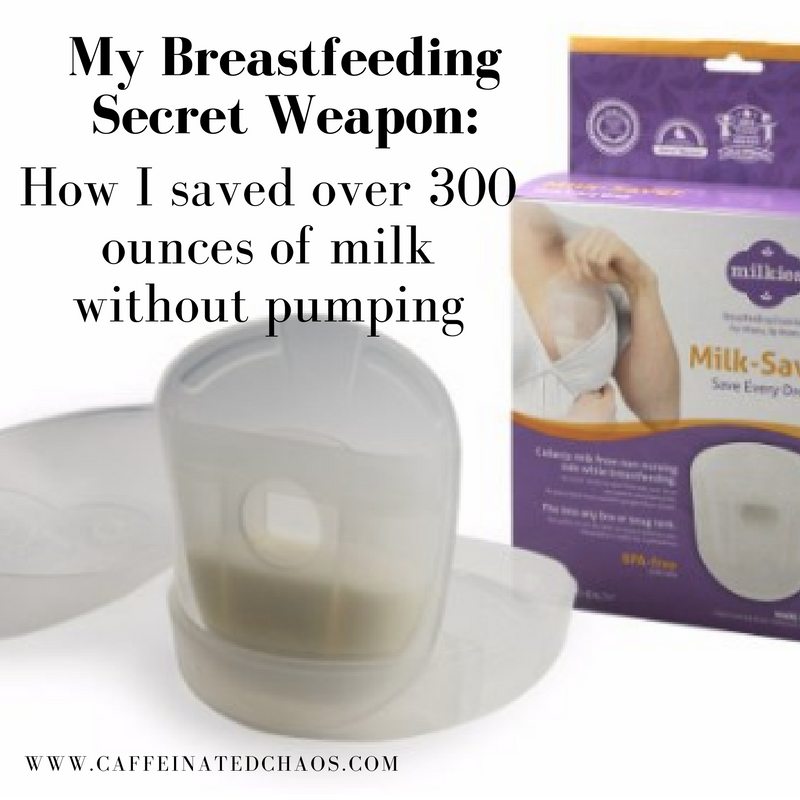 I am sharing this with you in hopes that all my breastfeeding mamas can save some more milk and pump a little bit less. Simply slip the Milkies into your bra on the opposite side you are feeding on and let it catch the milk while you feed. When I’m done I put the milk in the fridge and wash the Milkies for next time. When the day is done, after 4 – 5 feedings, I usually have around 4 oz of milk to mix together and freeze to use later. Not only does it catch the milk, but it helps prevent awkward milk leaks on your shirt and relieves any pressure that might be there if your baby only eats on one side. Are you storing only foremilk? This was one of my questions. If I only leak 1/2 ounce each time am I freezing only foremilk? I typically hand express a little extra mainly to release the pressure since HB only eats on one side at a time, but with this I can definitely see the fattier milk mixed in when I go to freeze it. How much milk do you collect? In the first few months I collected on average 1 ounce per side/per feeding. This of course depends on your body, but any extra milk was a win in my book. 3 months later I’m still collecting 1/2 ounce or less at each feeding. Definitely less, but over a few feedings it adds up and I freeze it for later! If you are trying to build up a storage to go back to work you most likely will need to add in a pumping session on top of just catching this milk, but don’t let your extra milk go to waste, I recommend picking up a Milkies from Amazon and save your precious milk you work so hard for!